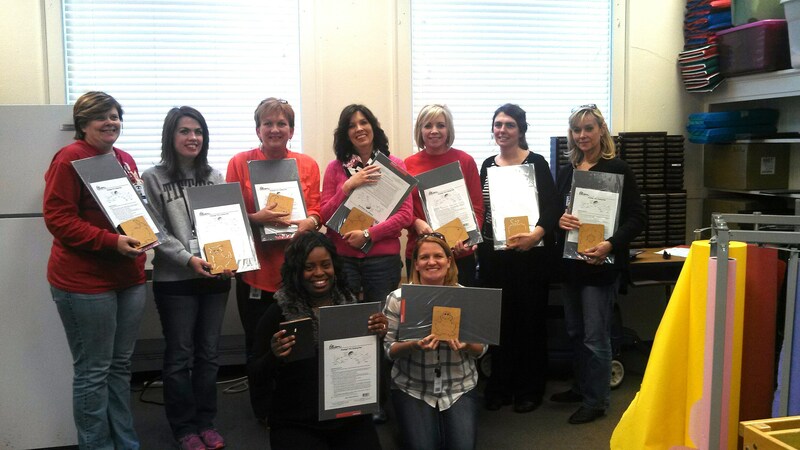 Thanks to a donation from Belk, our Pre-K teachers were able to buy new equipment and supplies for their classrooms and students. Vision Source donated eye care kits to every school! Thank you so much, Pizza Hut! 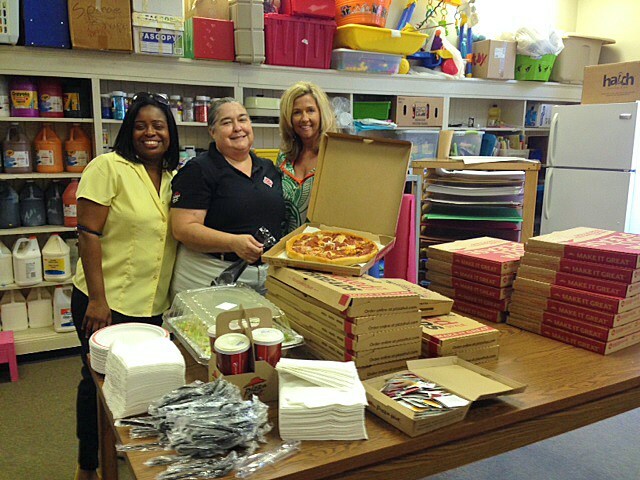 During the three days of pre-planning for the school year, Pizza Hut fed staff members at EVERY SCHOOL! 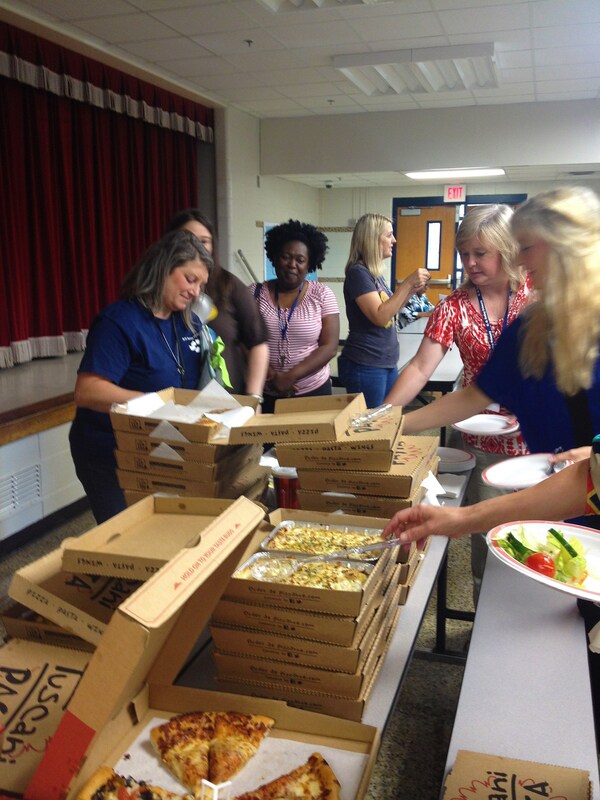 Thanks for taking such good care of our teachers and staff as they prepared to welcome back our students. 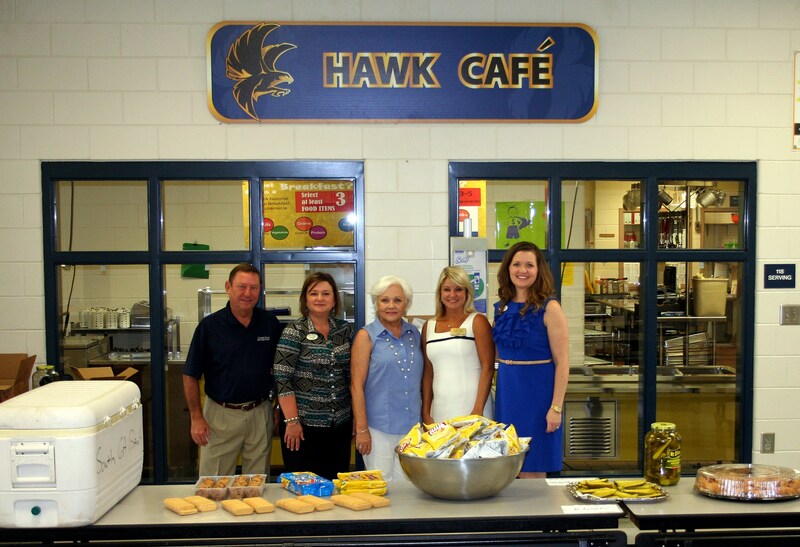 Tift County School’s Partners in Education program members continued their long-time support of teachers by providing a Back-to-School luncheon at Omega Elementary. Pictured are South Georgia Banking Company’s David Keith and Jane Justice; Plant Telecommunications Venita Kennedy and Paige Keith; and South Georgia Banking Company’s Maghan Campbell. 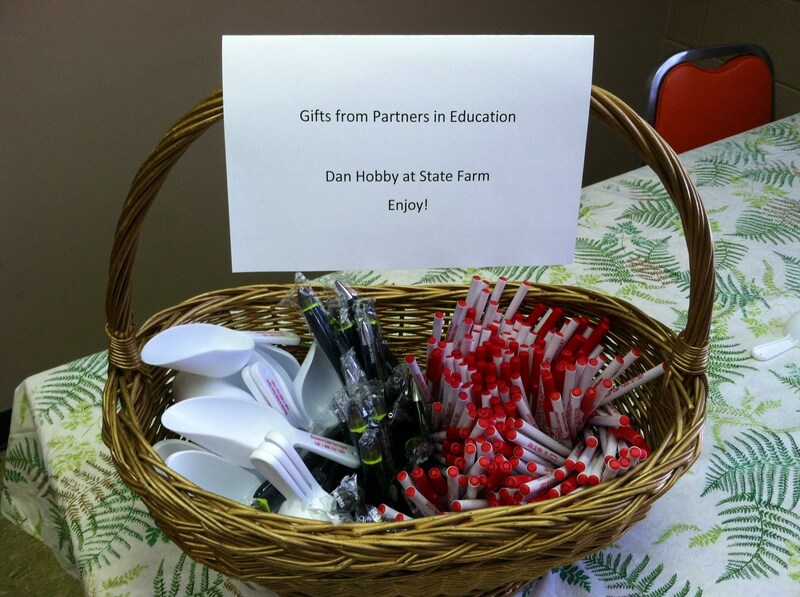 Thanks to Dan Hobby at State Farm for this donation!